Demi Lovato can eat the cake all she wants today, its been since months since she's been SOBER! 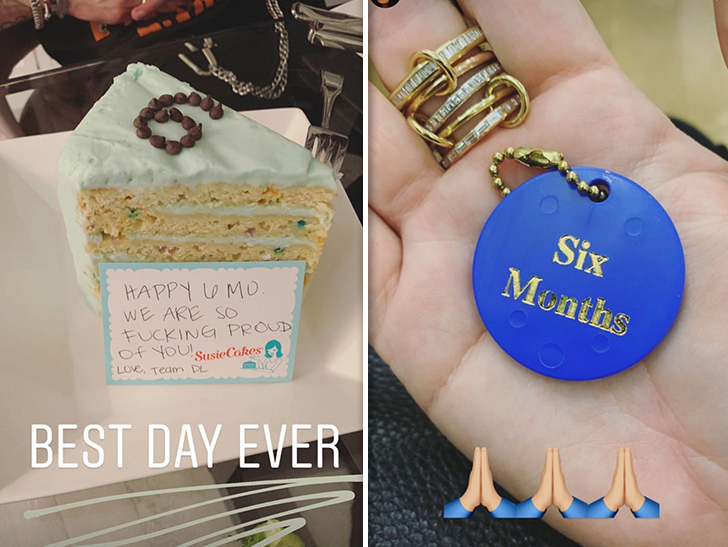 Demi hit up a gym at L.A. and returned home to a delicious surprise ... a cake with a message from her team ... "HAPPY 6 MO WE ARE SO F***ING PROUD OF YOU." Demi has landed on her feet after her extended stint in rehab, following her near-fatal overdose last July. She's been back in L.A. since November and has been dating her sober companion, Henry Levy. Demi, who has struggled with addiction for years, was sober for 6 years before her relapse and has clearly made sobriety her priority.